Last week, the federal government released the latest (4th) report in the national climate assessment. 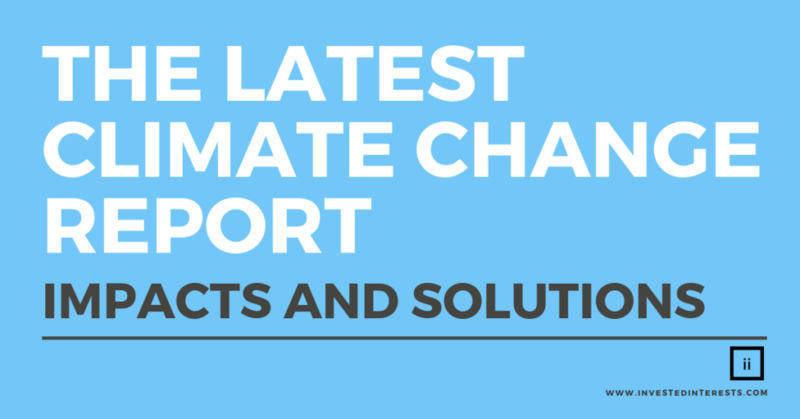 Much overlooked by the current administration, the report focused on the science of climate change as well as the current and future impacts on the United States. Impacts of climate change are already being felt across the country. From the devastating wildfires in California to the overwhelming destruction caused by hurricanes in the 2017 and 2018 seasons, more frequent and extreme weather events have occurred. In addition to the cost of human lives which can never be quantified, the impact on communities, the economy, and infrastructure may take months, if not years, to repair. Increased natural disasters, including fires, flooding and eroding shorelines which create vulnerable infrastructure in every U.S. region. This includes access to roads, viability of bridges, and safety of pipelines. Substantial net damage to the U.S. economy, including annual losses in some sectors in the hundreds of billions of dollars. And these are just the top 5 impacts we took away. The entire report has many, many more national consequences. This is a conversation that needs to happen at a global level. Working in a bipartisan fashion and alongside the broader global community, our lawmakers need to place climate change among top-priorities in their everyday decision making. Through development methods, military planning, and disaster management, each government department can either perpetuate or halt decisions made regarding climate change and its current and future impacts. Consumer habits are slowly starting to trend toward renewable energy. If enough momentum continues, companies and governments alike can focus on increasing renewable energy products and contributing policy actions to make it accessible on a broader and more affordable scale. By reducing our reliance on coal and other natural resources, we can avoid serious consequences and shortfalls on the horizon. As a consumer, one of the greatest impacts you can make is in your investment choices. Do you know where your 401k investments are held and who they are funding? Most traditional 401ks do not support ESG (economic, social and governance) rated social investments. Rather, most focus on the very large-scale businesses that are contributing to climate change with non-sustainable business practices. Questions about our climate change or environmental investment portfolios? Ready to get started with no minimum investment? Get started building your portfolio today!